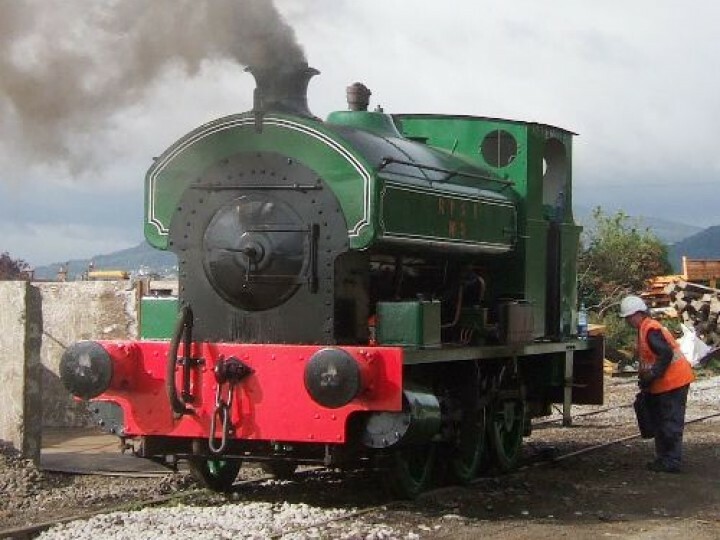 "R.H. Smyth" was built by the Avonside Engine Co. in 1928 and described as "generally similar to the B6 class 0-6-0 saddle tanks, but with a wheelbase of 9 feet and a gauge of 5 feet 3 inches". The engine was designed to work on dual guage track with both 5'3" and 3' gauge wagons, and had a pair of offset narrow gauge buffers. Length 24 ft; Width 8'6"
The engine's livery was black and green, lined out in yellow and lettered in gilt. The loco spent its early working life on the Londonderry Port and Harbour Commissioners' lines, a comparatively short railway which ran from the northern end of the quays on the west side of the River Foyle (where there was a narrow gauge junction with the Londonderry and Lough Swilly Railway, immediately outside their Graving Dock passenger station) along the quayside to the Foyle Road station of the Great Northern. The line continued across the River Foyle on the lower deck of the Craigavon Bridge to the eastern bank where there was a broad gauge connection with the LMS (NCC) at Waterside station and also a narrow gauge junction with the line to Strabane at Victoria Road station. By 1968 the engine had been out of use for several years and the Reverend L.H. Campbell decided to buy her to save her from the scrapyard. By February 1968 the engine was his, remaining for the time being in the Harbour Commissioners' sheds. 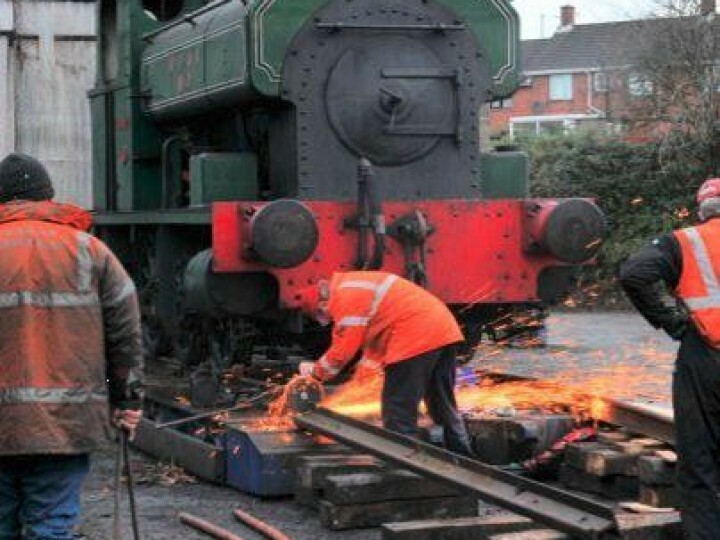 In 1972, the Reverend decided to pass the engine on to the Railway Preservation Society of Ireland so that it could be restored to working order. The handover officially took place on 1st May that year. 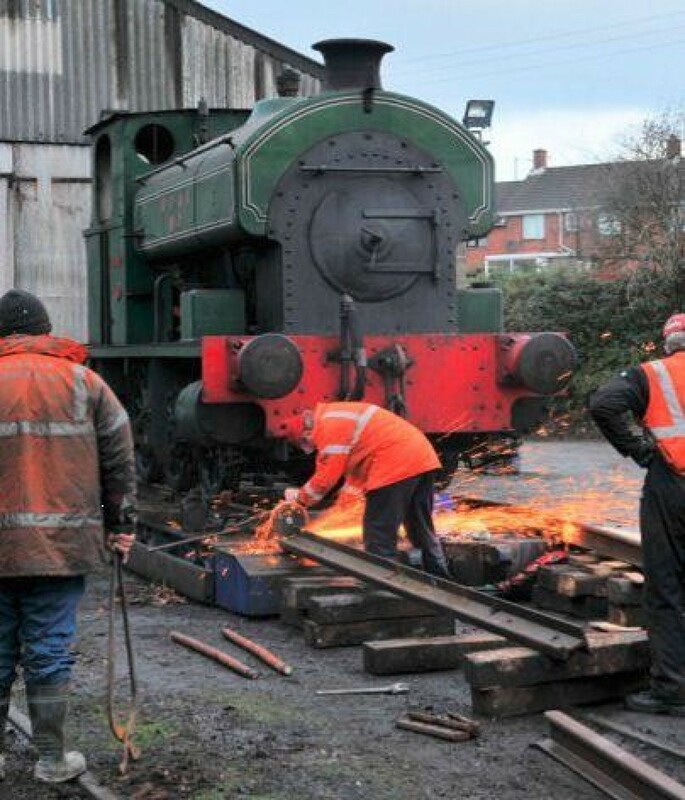 The little engine lay outside for many years until it became practical to overhaul her. She first steamed in preservation in summer 1977. For many years she served as yard shunting engine at Whitehead, and was a guinea pig for the inner firebox repair on No.85. Her public duties included train rides up and down the site at Whitehead, hauling early Easter Bunny and Santa trains before they became mainline trains. 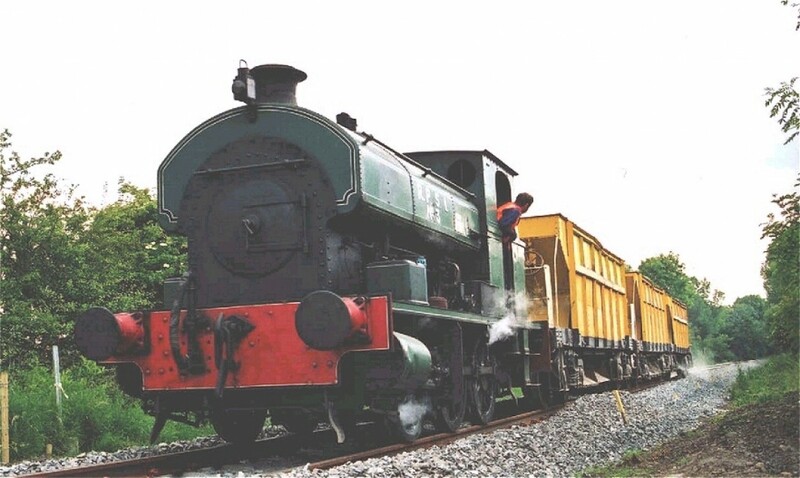 In the summer of 2000 the loco was hired to contractors Henry Boot who were relaying the Bleach Green - Antrim line for NIR. A locomotive was needed to pull ballast hoppers, and as IÉ and NIR were not in a position to loan a locomotive, the RPSI was approached. The locomotive pulled over fifty thousand tons of stone from 18th June until 25th November 2000. On the latter date she returned to Whitehead and resumed her shunting duties. By 2004 "R.H. Smyth" was in need of an overhaul, but didn't seem likely to return to steam until the Guinness engine came out of traffic as steam shunting engine. Then the contractors relaying the Bleach Green - Whitehead line stepped in. They required an engine to haul ballast trains, just as Henry Boot had. 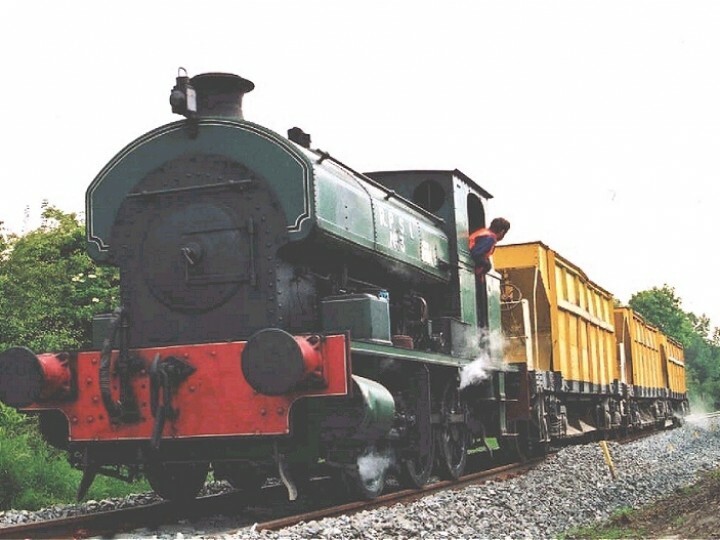 The locomotive was given a thorough overhaul in double quick time, and was moved to Greenisland in early August 2005. 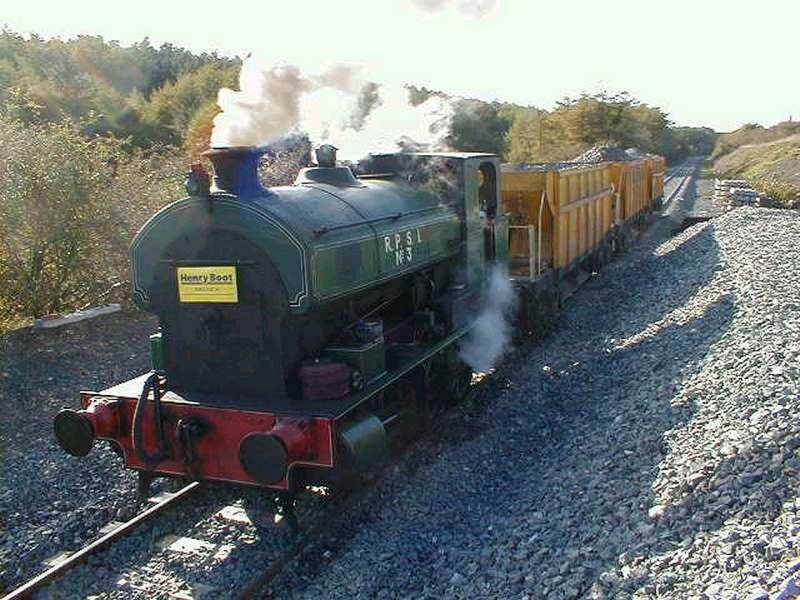 After a busy five months ballasting, the engine returned home to Whitehead in December 2005. From 2006 until 25th November 2012, when it returned to Whitehead, the engine was on loan to the Downpatrick and County Down Railway, although for the last couple of years of that stay, the locomotive was out of service awaiting a decision on boiler repairs.